With its majestic Sonoran desert scenery and rapid renovation of its downtown, Phoenix, Arizona, is not as it appears. The city and its surrounding suburbs are a desert playground. Often referred to as the Valley of the Sun, it is surrounded on all sides by mountains and thrives on copious amounts of sunshine. 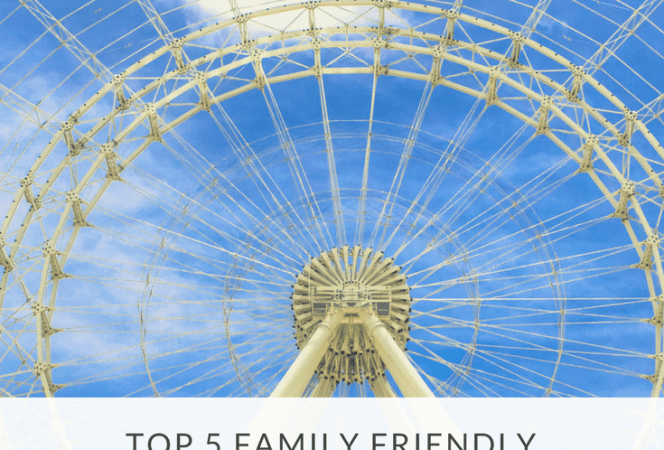 There is an abundance of family friendly things to do on a weekend in Phoenix, so Expedia.com asked me to narrow it down to help plan your next trip. 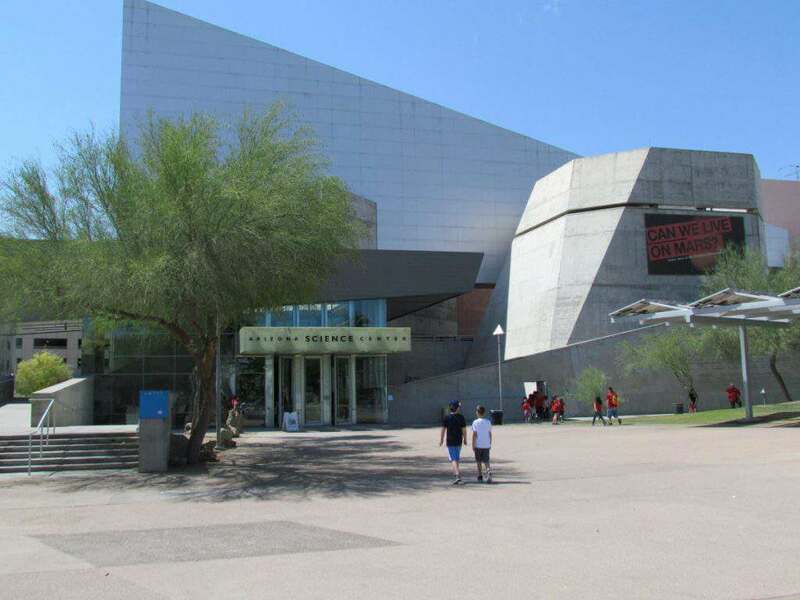 The Arizona Science Center is the ultimate museum for kids of all ages because every exhibit is hands on. From the moment children walk in, they are actively engaged. The first feature every child notices is the Water Atrium, because who doesn’t want to get wet and splash in the water? Looking up they will see the SkyCycle, where cyclists are suspended 15 feet in the air riding a bicycle. In the Get Charged Up exhibit, kids can lie on a bed of nails, pull a giant lever, and master electrical circuits. The most difficult part of this visit will be getting everyone to leave. Not far from the Arizona Science Center is the Phoenix Public Market, an open air food market open on Saturdays year round. On Fridays, the parking lot is dominated by food trucks from all over the Valley serving various cuisines. This is a fun stop for families to grab lunch and head to nearby Civic Space Park to picnic. There’s also Public Market Café next door, which offers coffee, breakfast, lunch, and dinner. Whenever I recommend this one to people, they look at me in disbelief. Throw away your preconceived notions and take a visit. This is the first museum in the world dedicated entirely to musical instruments.The Geographic Gallery focuses on instruments from around the world with music samples, while the Artist Gallery features music and instruments of famous musicians (think Johnny Cash, John Lennon). What kids and adults seem to enjoy the most is the Experience Room where budding musicians can play and touch every instrument on display. 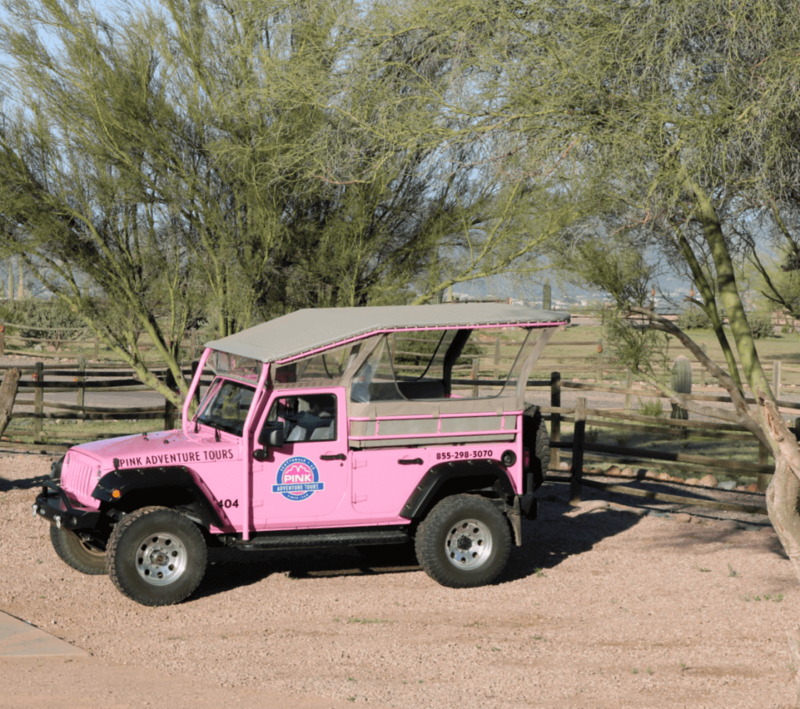 If you see a pink Jeep driving down the street, don’t be surprised, it’s Pink Adventure Tours bringing visitors to and from their property. These specialized Jeeps are made for going off road and are one of the best ways to see the beauty of the Sonoran desert up close. 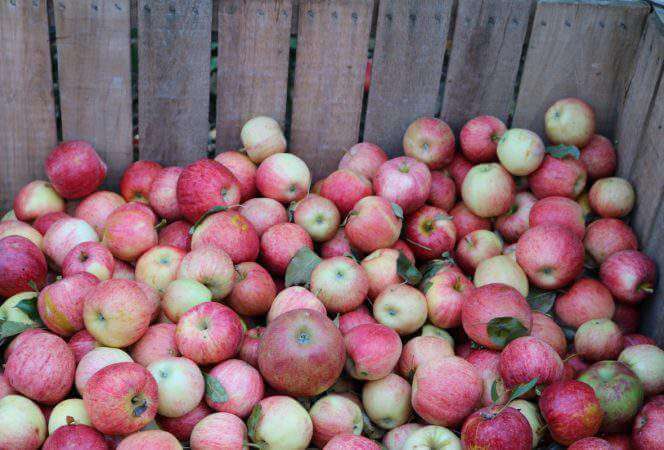 This half day experience not only teaches families about the flora and fauna of the not so barren landscape, but also the history of the “people who came before”. This is an opportunity to possibly spot some wild horses and cattle, and see how you measure up to the Saguaro cactus, which only grows in Arizona. 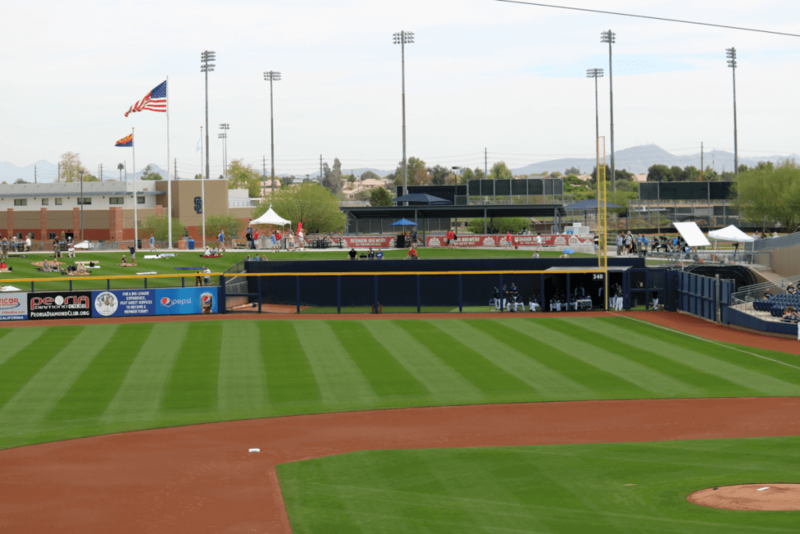 There are 10 baseball stadiums throughout the Phoenix area that host 15 Major League Baseball teams for spring training. If you’re visiting in March, it’s the perfect time to catch a game. The rest of the year, you can watch the Arizona Diamondbacks (baseball), Phoenix Suns (basketball), Arizona Cardinals (football), Phoenix Mercury (women’s basketball), or Arizona Coyotes (hockey). The nearby suburb of Tempe is home to Arizona State University, which has the largest undergraduate population in the country. Visitors can catch a game at one of the many Sun Devil venues and head to nearby Mill Avenue afterwards for dinner at one of the many restaurants that line the main street. If your family loves exploring the outdoors, head to South Mountain, the largest municipal park in the United States. The park has over 50 miles of trails for hiking and mountain biking, some leading to spectacular views of the Phoenix valley below. Train enthusiasts will appreciate this 30 acre park in the center of nearby Scottsdale. The park’s newest attraction is a 10,000 square foot model railroad building that houses four model railroads, but visitors really come to ride the train. 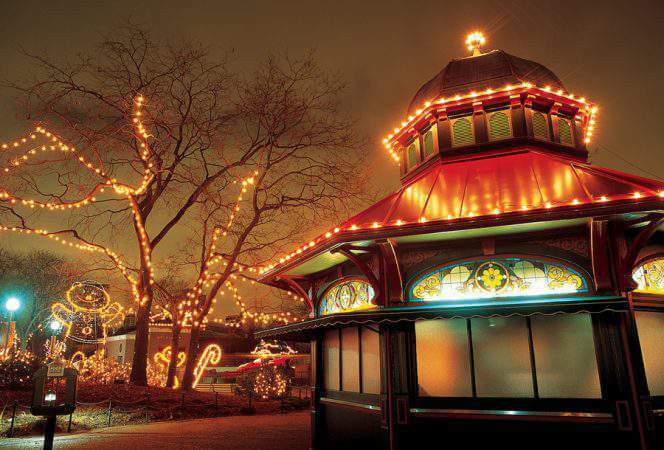 A miniature train winds it way through the park, much to the delight of children of all ages. There are life size train engines for exploring, playgrounds, and a carousel to round out the day. A weekend in Phoenix can be as busy or relaxed as your family desires. There are activities to keep you on the go or places to unwind and take in the view. There are family friendly things to do on a weekend in Phoenix every weekend of the year, just find the adventure that speaks to you.